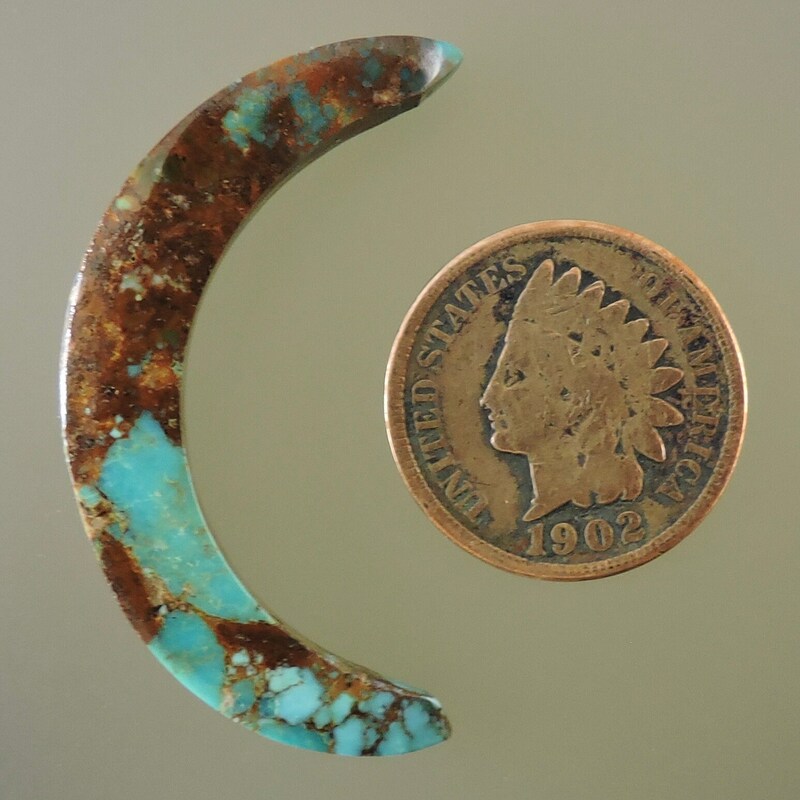 This beautiful Crescent cabochon of Turquoise is from Kingman AZ. This beautiful Blue Green Cab with natural brown matrix is stunning. This material came out many years ago. Turquoise contains 3-5% copper. The rough was stabilized and then cut and cabbed for your enjoyment.